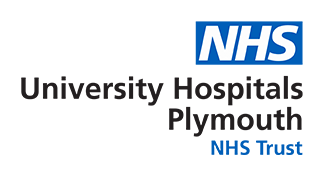 University Hospitals Plymouth is an accredited South West Regional Centre for the treatment of Brain and Central Nervous System tumours. The Neuroscience Multidisciplinary Team (MDT) serves the population of the peninsula Cancer Network and serves a population of 1.7 million people. All patients diagnosed with a brain tumour are referred in via The South West Regional Centre. The Neuroscience team is comprised of clinicians, nurses and administrative staff who have a specialist interest and expertise in treating brain and spinal tumours benign and malignant. It is both a local and tertiary referral service that provides care to patients in the South West Peninsula. It runs alongside services in Plymouth, Truro, Torbay, Exeter and North Devon. The Neuroscience multi disciplinary team (MDT) consist of 6 consultant neuro surgeons, 4 consultant oncologists, 5 consultant radiologists, 2 consultant histopathologists, 3 neuro psychologist and 4 neuro-oncology clinical nurse specialist. There is 24/7 cover for the service in the neuro surgical team and oncology team. Our staffs are committed to providing high quality, personalised care in a safe and comfortable environment.